POSTS Discover Which Is The Best Garmin Watch For Kayaking? The world of fitness technology moves quickly. When I started kayaking a waterproof watch was considered an asset but not essential. Now your watch can help you track your fitness and your activity. I’ve tried a few different watches and there is no doubt in my mind that the Garmin Fenix 5 GPS is the best Garmin watch for Kayaking. Put simply it is reliable and gives me all the features I need; plus a few I don’t really use! Garmin was created in 1989 It has established itself firmly as one of the best manufacturers of GPS technology. This is why I believe they are the best choices for kayaking watches; moving along the river fast can be a challenge for some GPS devices; these won’t let you down. GPS makes your day safer and more pleasurable. You always know where you are and how to get back; allowing you to focus on enjoying the moment. It’s worth noting that this watch is not the cheapest as it is a very recent arrival on the scene. But, once you’ve used it you’ll realize why it is simply the best. This watch has a classic design which is quite refreshing in the modern world of fitness technology. The screen is reflective making it easy to read in most lights and there is an array of monitors. The standard ones include a sleep monitor, heart rate monitor, distance travelled, average speed, barometer, compass, thermometer, gyroscope, accelerometer and the multi-sports function. This function will let you choose the sport you are doing; kayaking is an option and it can actually count your paddle strokes! The fact that it has Bluetooth and allows you to control your music is a fantastic bonus. The battery life is said to be 14 hours of constant use on one charge. However, I used it for 10 hours straight with music and the heart rate monitor and found the battery still had 50% charge left in it. Charging it just once a week should be enough to ensure it is always ready when you need it. Garmin has been making GPS devices for years and know how to put something together that will last. The Fenix 5 is designed to be water resistant at depths of 100meters / 328 feet. That’s probably more than you’ll want to go when you’re kayaking! It has exposed screws, brushed metal buttons and a sapphire glass screen; this means it is extremely difficult to damage! This is an important reason why it is the best Garmin watch for kayaking. The Fenix 5 GPS weighs 3 ounces. It also measures .6 inches thick and 1.9 inches wide. That’s quite a big watch to wear on your wrist and may be an issue for some. Personally I quickly forgot it was there, except when I was pushing one of the buttons to navigate through the easy menu options. But, the size and weight is worth noting. The Garmin Connect App offers a huge array of functions; mainly because it has been built on year after year. While the information it supplies is excellent it can be difficult to get past all the information and just access hat you want to see. There is a little too much clutter for the average user. Although this is often referred to as a running watch there is enough features and versatility to make this a great watch for kayaking. The fact that it is good for a huge range of sports and daily activities; including counting your steps is why it I consider it the best for everyday life. Other features built into the Forerunner 15 include a heart rate monitor, distance, calories burned, step goals, past statistics and, of course the GPS tracker. It is also features a reminder to move if the watch detects you haven’t moved in the last hour. On average it takes 2 – 3 minutes for the GPS to locate you. This is fairly standard for GPS watches although the Fenix 5 was almost instant. Once it has located you I found it to be extremely accurate at tracking. This is very reassuring if you are in unfamiliar terrority. The great thing is that it does most of its monitoring without being asked; it simply does it in the background allowing you to keep your attention on your kayaking. 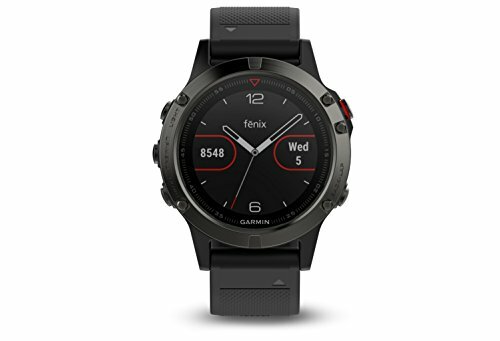 Although this is at the lower end of the budget in comparison to the Fenix 5 it is still a well built and rugged watch. You’ll also be surprised to discover that the Forerunner 15 takes just 2 – 3 hours to charge but will last up to 10 hours with GPS tracking on. The watch is water resistant to 165 feet. The watch isn’t the prettiest but it is designed to withstand shocks. The features are all accessed via buttons instead of a touch screen which ensures they keep working no matter what is going on round you. It is disappointing to note that there is no Bluetooth on this watch. This means that you must physically sync the watch with your Garmin Connect app. The watch itself only stores 7 workouts; if you want to keep track of how you’re doing you’ll need to sync it regularly. You can then access the full range of functions included with the Garmin Connect app and keep your watch up to date. It would just be nicer if this could be done automatically by Bluetooth. Just like the Fenix 5 GPS the Forerunner 15 is a little on the bulky side. This may be enough to put you off, especially as you’ll be looking to wear this watch all the time. 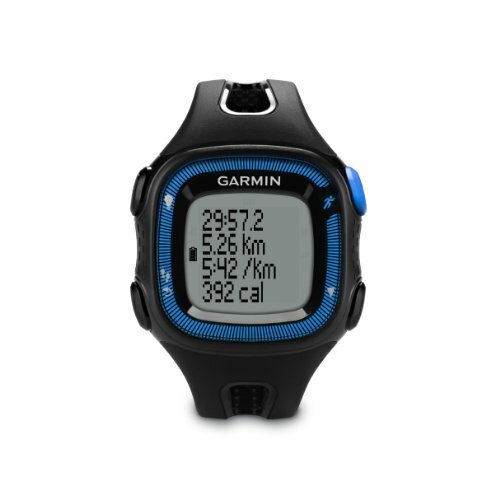 This is another newcomer to the Garmin product range and one that adopts more of a Fitbit style. It comes with a very attractive price making it the perfect choice for the budget conscious kayaker. There is no doubt that this Garmin watch is a world away from the previous two. It adopts a style much more akin to the Fitbit or even an elastic band! You can opt for all black or black with a stripe. It fits comfortably on your wrist and barely protrudes, even where the tiny screen is. In fact, you could say it is almost invisible. At the least this allows you to wear it when doing any activity. You’ll find the standard features for a GPS activity watch on the Vivosport; heart rate monitor, steps taken, distance, calories, stress level and your sleep quality. A useful feature is that if you are exercising for more than 10 minutes you don’t need to start the watch; it will start automatically. All the features are accessed through the small touch screen and it does monitor your heart rate at all times; which is why it can tell when your stress levels are rising. This tiny watch can be fully charged in just 2 – 3 hours and will last approximately 8 hours of continual use with the GPS on. That’s quite impressive when you consider the display is both color and always on. The size of the watch does work against it. The screen is so small that you can easily push the wrong option when setting it up or trying to see the results of your latest kayak trip. It is also frustrating to find that all the functions are coded, you’ll need to understand what each code means before you can access the information you need. This makes it difficult to monitor your progress while kayaking. But, it will give you a summary at the end. Surprisingly for Garmin it is not possible to add any external sensors to this watch. This may limit its use if you want to use a chest heart monitor or any other device. Put simply, you can’t use them. The watch has clean lines and the style of a traditional watch. This makes it easier to wear anywhere. The thick silver bezel surrounding the screen helps to give it a stylish and almost expensive look. The screen is fairly large and very easy to read thanks to the 1.2 inch transflective surface. You can even swap the silicone strap for a regular one; if you prefer. With a little practice you’ll master the side swipe to scroll through the menus and access the information you need. Unsurprisingly this watch will monitor your heart rate. It is also water resistant to 165 feet; which should be enough when kayaking. You can also see your steps taken, sleep quantity, stress levels, speed, distance, location and access a number of apps to help improve your breathing and fitness. It also has a swim function which doubles well for those kayaking excursions; providing surprisingly accurate information on your trip. Alternatively you use the rowing machine option which works just as well. You can connect the watch to Garmin Connect via Bluetooth and then access all your statistics and assess how your performance is improving. This seems to have a function for virtually any activity. 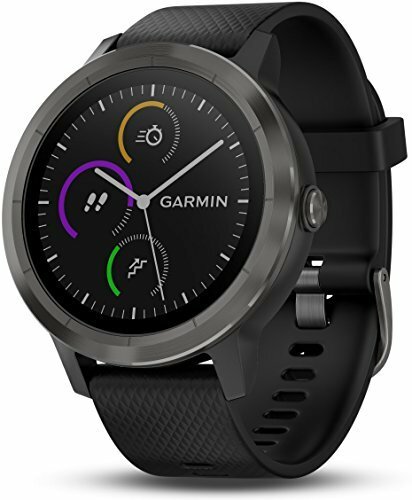 It will take less than an hour to charge the watch using Garmin’s charging system; which can be used on any of their watches. It should then give you 13 hours of use with the GPS on. That’s pretty good by any standard. 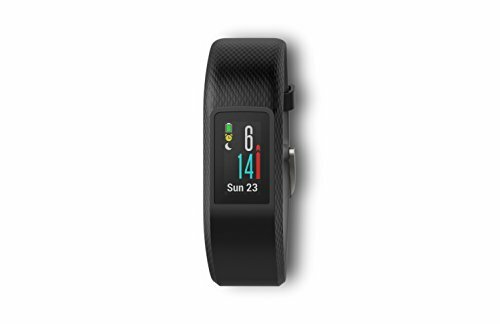 Garmin generally make quality products but the Vivoactive 3 feels a little cheap. This is disappointing for a watch that has so many functions. You’ll also find that there are no options to give you tips on how to improve your performance or exercise schedule. While this is not essential it is a nice and a useful feature. Garmin make many decent activity watches but there is no doubt in my mind that the Fenix 5 GPS is the best Garmin watch for Kayaking. The ability to track your paddle storks, combined with a high quality watch and tracker make it too good; even if it is the most expensive option on the list.